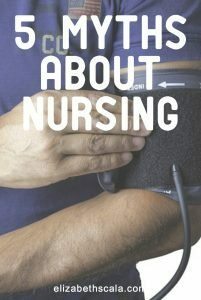 Since the profession has basically been around since the beginning of time, there are many myths about nursing. Before we get into some of them- really fun myths, I might add- I had to look up the definition, for myself so that I could really understand what we were getting into here. According to Wikipedia, a myth is “any traditional story consisting of events that are ostensibly historical, though often supernatural, explaining the origins of a cultural practice or natural phenomenon”. Wiki goes onto say that a myth can be a sacred story or a story to explain why something exists. Hmm… really? Not sure if this fits here. However, the final comment on the Wiki page does relate to our question on hand- myths about nursing. “Myths are often therefore stories that are currently understood as being exaggerated or fictitious” (Wikipedia definition of myth). Well- I asked and you told me! A couple of months ago, I posted a question on my social media channels that received a TON of chatter. (Thanks, everyone!) 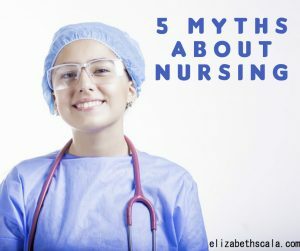 And from those posts, I compiled this list of 5 myths about nursing. Since there was SO much feedback (again, overwhelmingly grateful to y’all), I had to sort of compile these into categories. Let me know if I missed anything glaring in the comments below. 1. Nurses all went into nursing for the same reasons. From “it’s a calling” to becoming a nurse to “find a doctor to marry”- we’ve heard it all. Now, I will have to tell you. For many, many nurses- the profession of nursing is a calling. 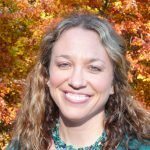 I interview a different nurse on my podcast, Your Next Shift, each week. And many of them HAVE told me that they do feel the profession of nursing called them. At a very early age, in fact. For others of us, this is just not the truth. So for us to assume that a nurse went into nursing to find a doctor to marry or to get a degree because another one was out of reach- well that’s just not the truth! We go into nursing to help. To educate. To advocate for and inform. We go into nursing to use our skills in order to make this world a better place. 2. Nurses all look the same. That’s right we are scrubs wearing, stethoscope carrying gals who (pardon my French) are all horny! Say what!?!?! This can’t be farther from the truth! I also heard that nurses play a role to fit an image on TV and we all make a certain salary. While I do think that the pay can be good and the financial state of a nurse can be positive- we need to realize that we have to be smart with our money. Make good choices that include financial savings and investments. As for the wardrobe, I know that many nurses in hospitals DO wear scrubs. While others do not. We have nurses out in the community, at schools, in law offices, working from home, speaking across the country, writing books, starring in plays. You name it- a nurse can wear it. So let’s keep the “image” of nursing myth to a minimum and realize that we are diverse and beautiful bunch! 3. Nurses have an easy job. Really? Many of the myths included that the 12 hour shift was “easy” since you get the “rest of the week off”. Uhmmm… we still have families and other responsibilities in life! Many nurses are also single parents who have to take care of small children, people. I also heard “flexible schedule”, “easy work on off shifts”, and “helping/assisting others” makes the job easy. These were all of the myths that you posted- and that I totally agree with! Nursing is hard work. We give of ourselves, often at the expense of life itself. 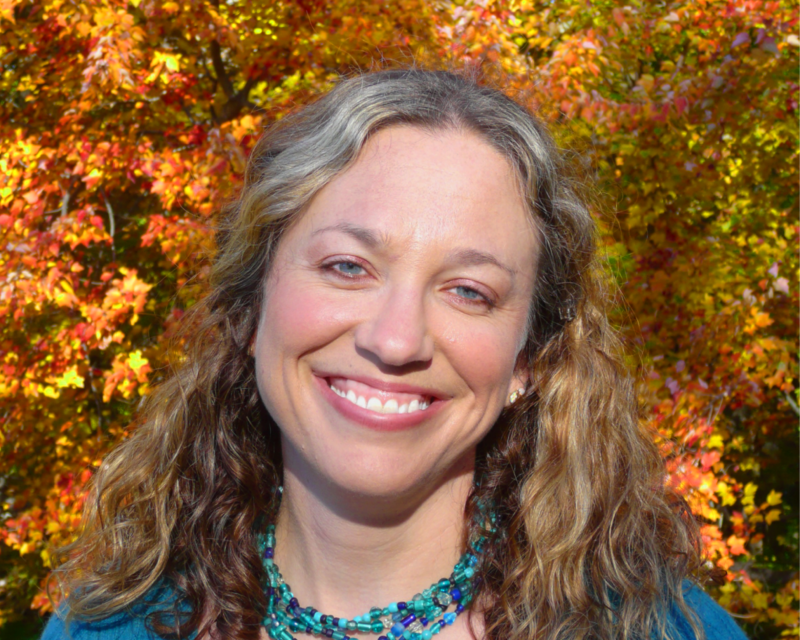 We see terrible pain and experience hardship and trauma. We are there when people are feeling their worst. We support others through the most vulnerable times. Nursing is not easy- make no mistake! 4. Nurses treat each other poorly. One of the best responses I heard when I asked y’all about the myths in nursing was “We eat our young.” Followed quickly by the comment, “We are not cannibals, for gosh sakes”. I also heard a myth from one nurse who said that it is untrue that workplaces do not support their nurses. While some of you may be shaking your heads at me while you read this… I have to point out. We must stop this “all or nothing” thinking/language. While some workplaces are not supportive of their staff and some work environments are unhealthy- this is not the case in every single place! As I travel the country giving my “Stop Nurse Burnout” presentation, I have met happy, healthy, and fulfilled nurses who LOVE their employers. And their colleagues. So let us all try to leave that “everyone is a bully” thinking aside. And seeing nursing as an uplifting, supportive profession. I sure am proud to be a nurse! 5. Nurses know the answers to everything health-related. I had to laugh at this one. It often happens to me! You are at a party and your cousin comes up to you, rolling up his sleeve. He says, “Hey, Elizabeth… can you take a look at this rash? You’re a nurse; tell me what this is.” Totally not a dermatologist, Jimmy. I was a psych nurse before, remember? A LOT of you said that you get asked questions all of the time that are health-related. Additionally you shared that if a family member or friend is in need… who do they often call upon? People- please ask someone else for help for a change. We need a break. Nurses do NOT always have the answer (we may) and at times… we just want a break. If a nurse is not at work, let them have a life outside of work. Give us a little work-life balance, would ya!?! OK- here’s the fun part people. Tell me what else you had in mind. What other myths about nursing have you heard or experienced? Share below and -while you’re at it- share this post with a friend. Social media buttons are below. Thanks for reading! I can so relate to relatives asking health related questions. It is never about anything easy, like CHF or diabetes, but rather some obscure disease or condition that I have never heard of! LOL! This was so fun to read. Thanks for dispelling theses myths and here are 2 more: Nurses mainly follow and take doctors’ orders. Actually, nurses often write orders, design care, manage care, coordinate care, and collaborate in providing care. Also, not all nurses are the same and you never know who you might have at your point of care- there are LPN’s, Associate Degree RN’s, BSN’s, APRN’s, NP’s, DNP’s. Entertaining post but that’s because we’ve heard these myths, right? I love the one about the easy shifts. While there is some history of nurses not supporting one another and especially the newbies,(we’ve all been there and/or heard the horror stories) I hope that as our society becomes more focused on empowerment and support of our fellow females and fellow human beings, this will also change how some nurses respond to one another. I’m involved in typical business networking groups that have changed their focus to include encouragement, supporting and empowerment of one another. It is much more satisfying than going to a meeting where we are there to meet people with the goal of building our business. Now we learn how we can support one another (newbies to the more experienced) which means we really get to know one another and share our vulnerabilities. In general, I find most nurses highly supportive and protective of one another with far more love than fear. Enjoyed your post as always Elizabeth. This is great to hear, Carmen. I love this and am glad that more and more nurses (and non-nurses) are supporting each other. Thanks for sharing! I really enjoyed this blog! They were some of the same myths I thought of initially before I read it. I like how you gave us a different perspective of these myths which really helped to shift the mindset. Thanks for sharing. You are so welcome, glad that you enjoyed the post! Many of these myths made me laugh, yet it’s sad that I have heard them all before. I appreciate that you challenged us to stop the all or nothing thinking/language. I couldn’t agree with you more. Another myth is psych nurses aren’t real nurses. As a psych nurse I have heard this many times. Oh, another good one, Cassandra! I have heard that too as a psych nurse. And you are right… the all/nothing thinking gets us into trouble. Thanks for coming by and sharing your comments.